As teams dealt blow for blow and tussled it out for a spot in the round of 32 in the 2018-19 edition of Europa League, there was a familiar battle being fought in the champions league where teams at the bottom of their groups tried to cement the third placed spot to make it to the Europa League. An entertaining final group stage gameweek in both the competitions has completed the Europa League round of 32 teams with Chelsea, Arsenal, Napoli and Inter Milan the most notable names to progress to the following round of the frontier tournament. 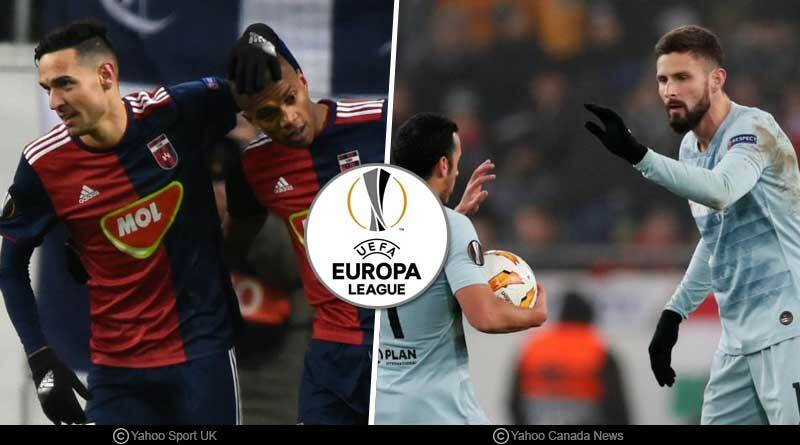 We bring you all the Europa League round of 32 teams, the lowdown on them, their pots and matchday 6 results ahead of the draw which will be held on 17 December, Monday. The draw will see the teams paired into two groups of seeded and unseeded with teams drawn against each other from the respective groups for the next round fixtures. Seeded teams will be away in the round of 32 first legs on 14/15 February and at home in the return matches on 21/22 February.